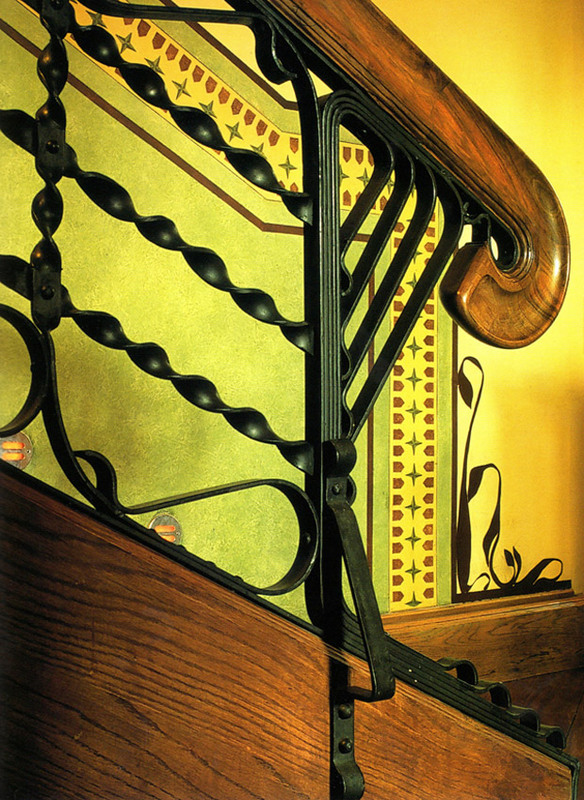 Spanish architect Antoni Gaudí is wildly famous for his iconic architectural exteriors. The truth is, he never forgot about the interiors of his structures as well. 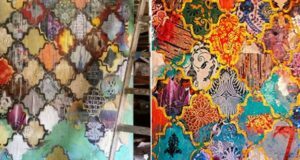 Creatively inventive, they feature ceramic tile, mosaics, ironworks, plaster in gorgeous curves, stone, decorative painting and stenciling to name a few of his incredible décor elements and lush depictions of nature. An artist friend, Jeff Huckaby, returned from a jaunt to Spain with a gift for me – an anthology of Gaudí’s works by Isabel Artigas. 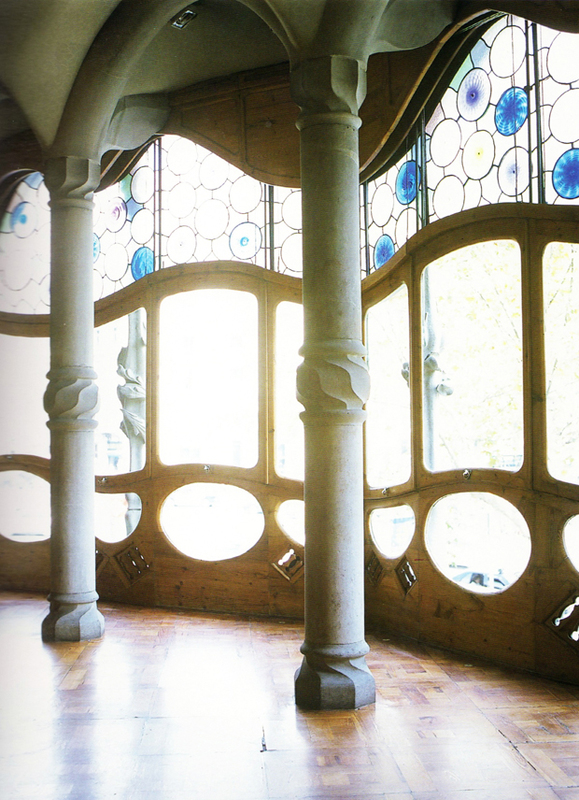 It’s a sumptuous two-tome collection to have as it’s a pleasure to pour over the photographs along with detailed information on Gaudí’s life and works. 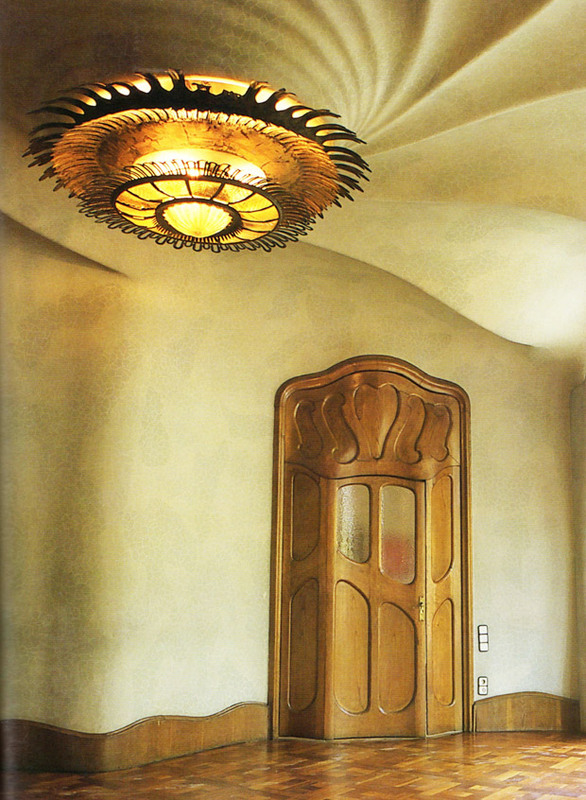 Here are some of the prettiest Antoni Gaudi interiors featured in the anthology – shall we? 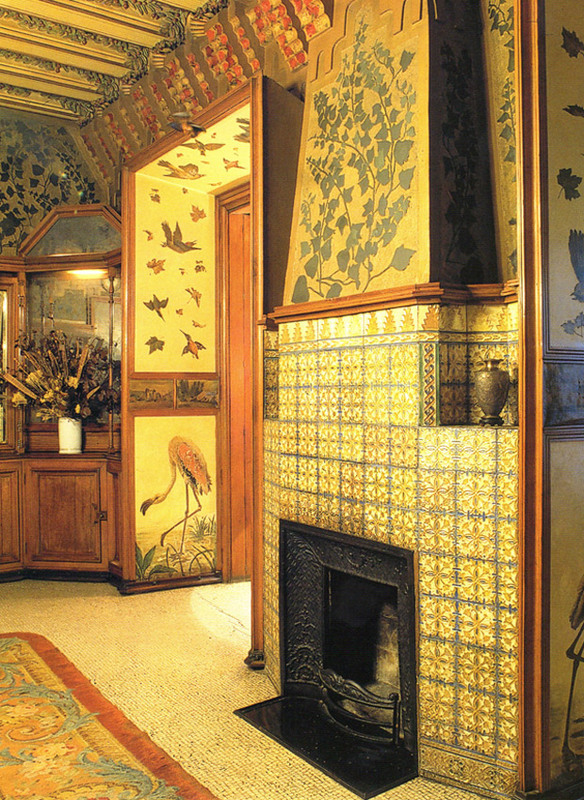 Author Isabel Artigas expresses that “Gaudí produced wonderful decorative works in both public and private spaces… When entering the buildings, visitors can appreciate the architect’s efforts to ensure that nothing was left to chance.” Casa Batlló features custom carved doors and windows as well as colorful and crackled ceramic tiles that line the walls. 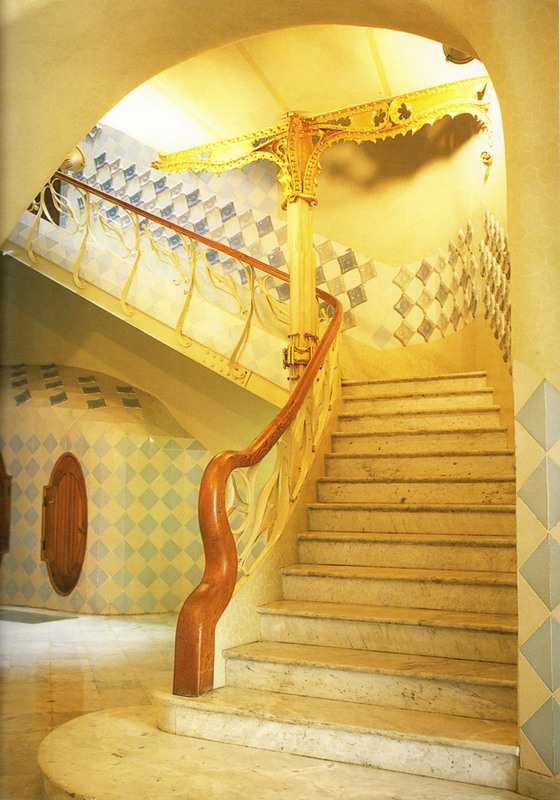 Staircases did not escape Gaudí’s attention as well. 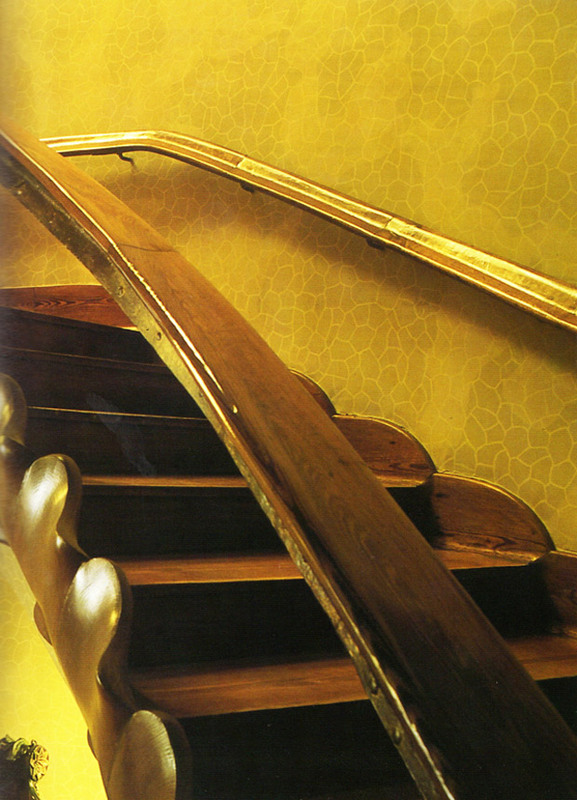 Witness a staircase inspired by human bones curving its way upward in Casa Batlló while stenciling and painting fares just as beautifully along a staircase in Casa Botines. 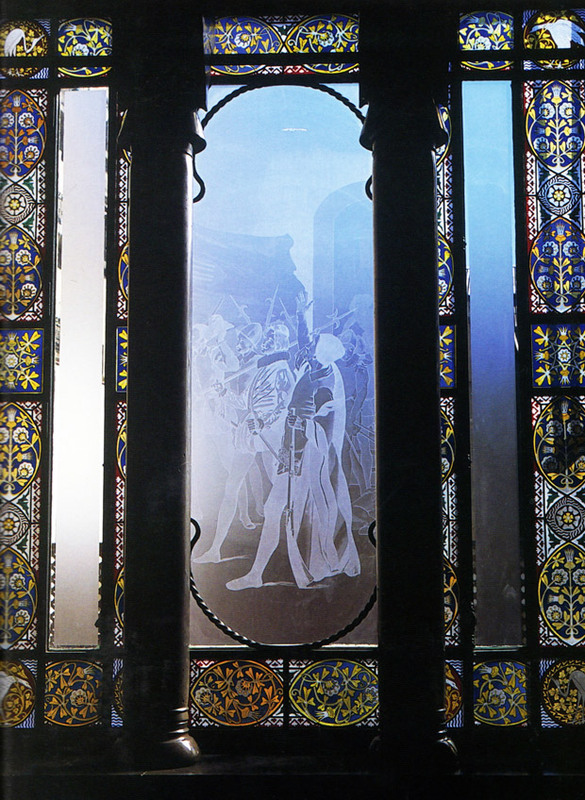 Gaudí designed his glass works with either abstract or figurative motifs and frequently employed master artisan Eudaldo Amigó to create them. 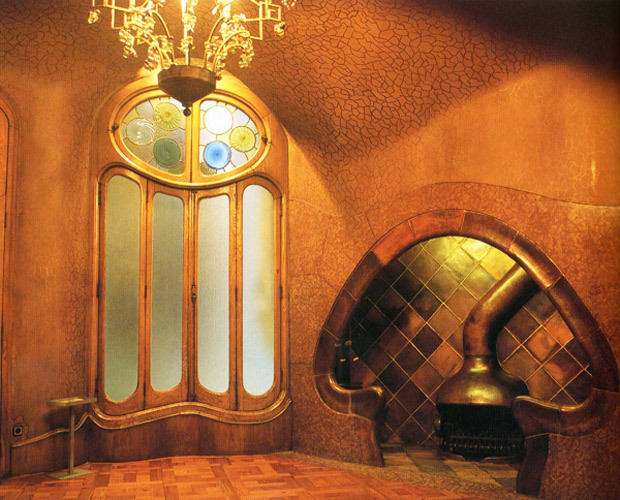 Gaudí was influenced by his teacher, Joan Martorell, in the use of glass to both enclose a space and add a decorative element. 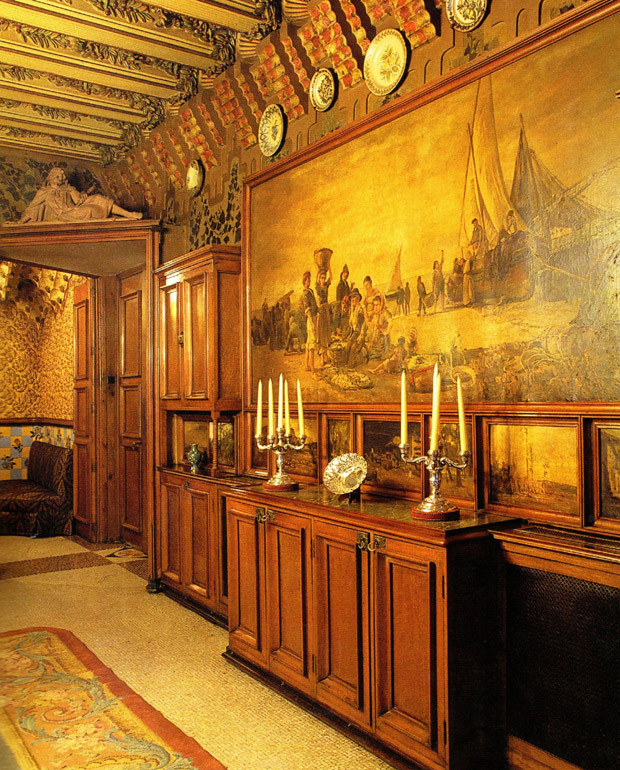 The interiors of Casa Vicens feature quite a few decorative elements and was conceived out of Gaudí’s vision as a building being a complete work of art. 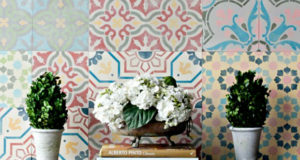 He employed incredibly talented Catalan artists to help him, including muralist Jose Torrescassana. 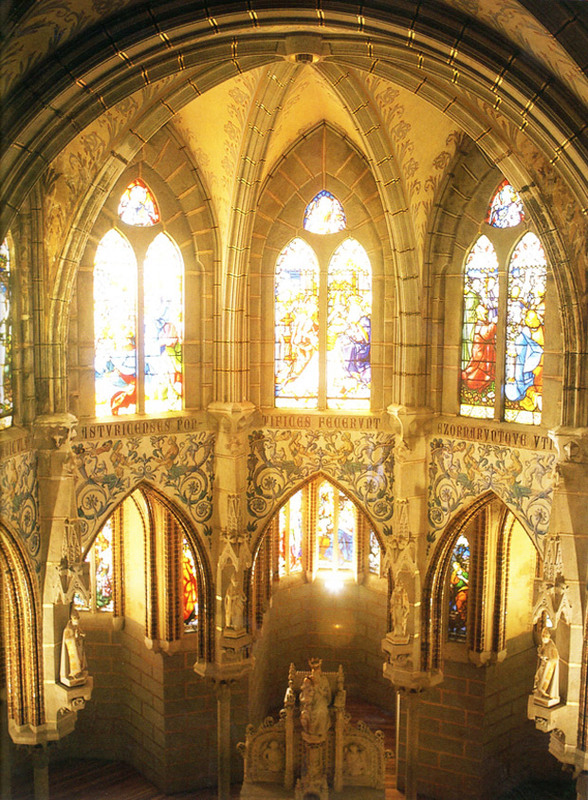 Incredible arched ceilings, decorative painting and stained glass at the Episcopal Palace of Astorga. 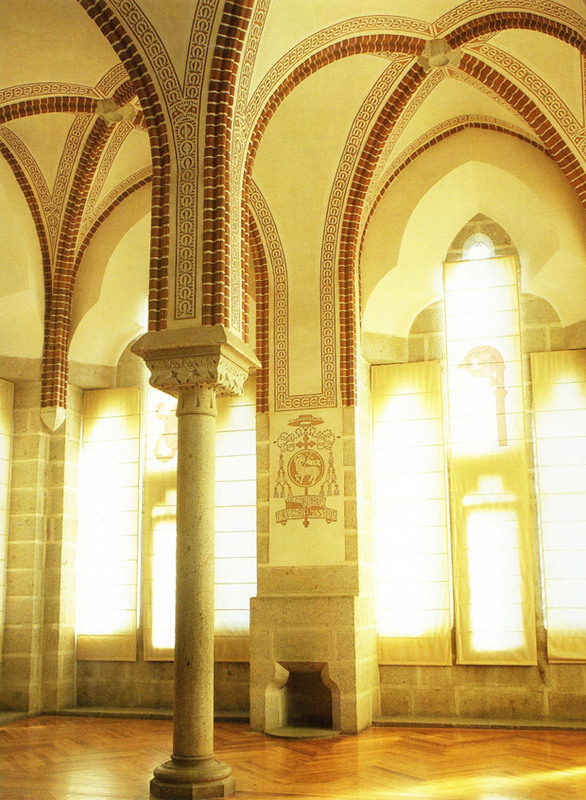 Gaudí had an incredible imagination and aesthetic. This sumptuous plaster ceiling, light fixture (isn’t it perfect for the ceiling?) 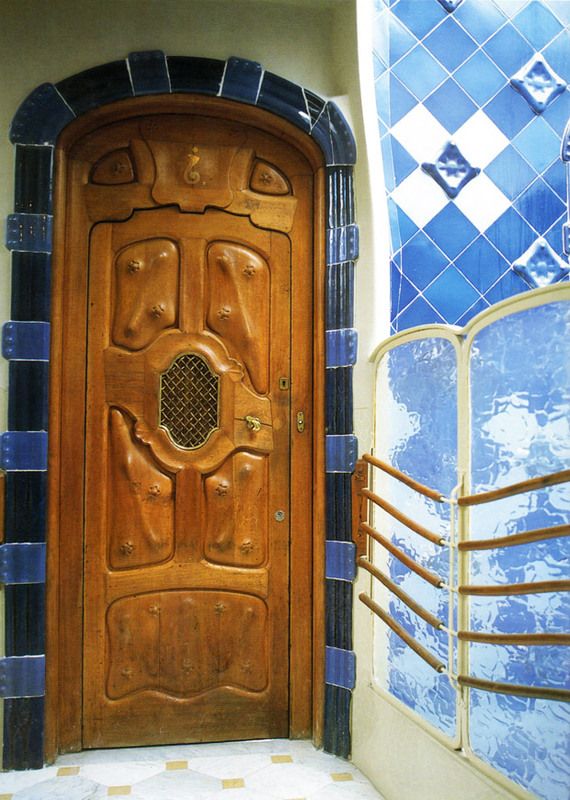 and ornate door can be seen in Casa Batlló. Antoni Gaudí is considered Spain’s favorite son in terms of his iconic Modernisme architecture in Barcelona — it looks like he literally threw out of his head what was accepted as an architectural form and ended up creating an entirely new style. His style took the understanding of geometric applications in a new manner; new construction procedures and the finding of materials that would let him physically (and safely) express his creativity. His buildings are different, fun, stop-in-your-tracks-and-stare-with-disbelief kind of designs. Of course, they are not the most practical looks, but really – we have about 80+ years (if we’re lucky) in this world? Might as well give your heart something to rejoice over for a large amount of that time. His work is greatly debated, but like it or not, there is no one who can begrudge his genius. I hope you’ve enjoyed this virtual tour. Awesome!! I was in Barcelona three years ago and went to the Gaudi Park. 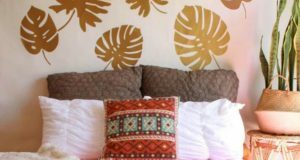 Have you seen the pictures?? Crazy cool. Hi, Suzanne! He’s an incredible talent — and yes, crazy cool! 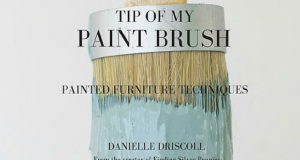 After exploring a number of the blog posts on your website, I seriously appreciate your technique of writing a blog.I added it to my bookmark webpage list and will be checking back soon. Pleasevisit my web site as well and let me know your opinion.